Research and design company SPECIFIC is celebrating the success of its first "energy-positive" classroom, a space that generates 1.5 times the amount of energy it needs to operate. SPECIFIC is a part of U.K. Innovation and Knowledge Centre at Swansea University, and they're celebrating the success of their Active Classroom, as it's called according to Inhabitat. Their findings from the first year of its implementation were released just as the group began work on their next project, an Active Office. Science Daily reports that buildings currently account for 40 percent of the energy consumption in the United Kingdom. Researchers have been working to develop buildings as power stations, with design aspects that can make the most use of solar power—trapping it, storing it, and sharing it. 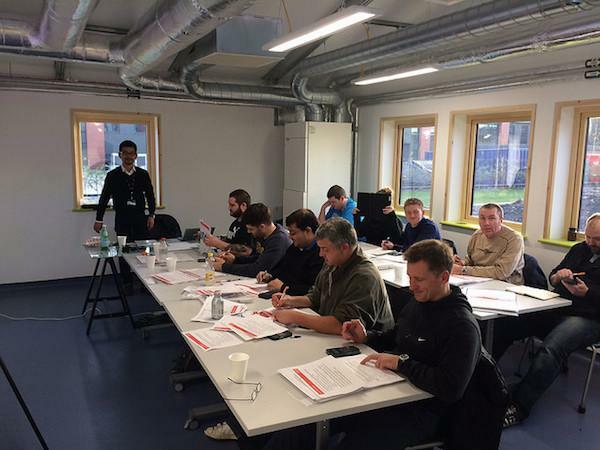 The research director for SPECIFIC and Swansea University College of Engineering, Professor Dave Worsley, says its important to go beyond research to real-world application, as in the case of the Active Classroom. "SPECIFIC's research focuses on developing solar technologies and the processing techniques that take them from the lab to full-scale buildings," he said. "With our building demonstration program we are testing and proving the 'buildings as power stations' concept in real buildings, which are used every day. The data obtained from these buildings is then fed back into our fundamental research into solar energy technologies and used to accelerate and steer their development." Some aspects of the Active spaces that have made them such powerful generators of clean power are curved roofs with integrated solar cells, a Photovoltaic Thermal system installed in the south facing wall, and lithium ion batteries that store the generated electricity. The thermal system can generate both heat and electricity from the solar panels within the one system. The facility is also outfitted with a 530 gallon water tank that can store additional solar heat. 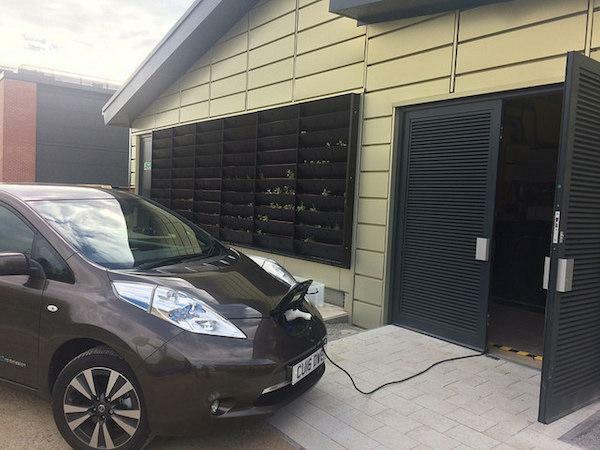 The current plan is to connect the Active Office to the Active Classroom, to allow them to share energy with each other and even electric vehicles. 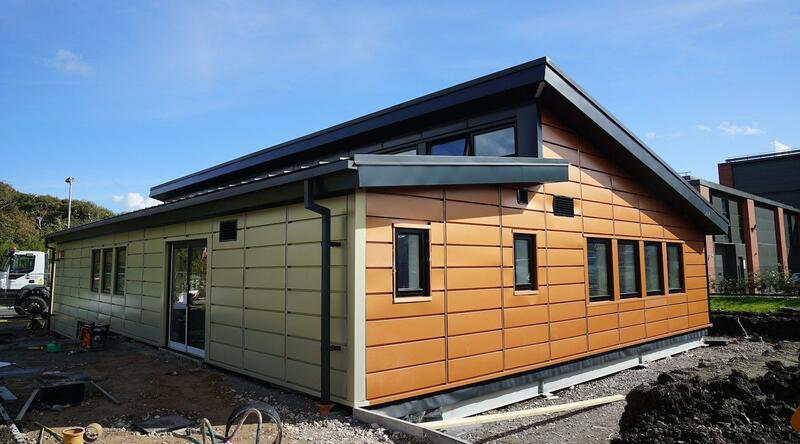 The team hopes that showing the practical application of their work will encourage the development of more projects like their across the country; a 2017 analysis showed that not only would more energy-positive buildings reduce carbon emissions, they'd also save money and reduce the pressure on the National Grid. To encourage that, SPECIFIC designed the Active Classroom so that it's easy to make copies—it only takes about a week to assemble because of prefabrication technologies. It relies on systems that are already commercially available, to make construction more accessible. "Offices are enormous consumers of energy, so turning them energy-positive has the potential to slash fuel bills and dramatically reduce their carbon emissions," said Kevin Bygate, chief operating officer of SPECIFIC,. "Turning our buildings into power stations is a concept that works, as the Active Classroom shows. This new building will enable us to get data and evidence on how it can be applied to an office, helping us refine the design further." "The Active Office is a first, but it isn't a one-off. It is quick to build using existing supply chains, and uses only materials that are already available. This is tomorrow's office, but it can be built today." 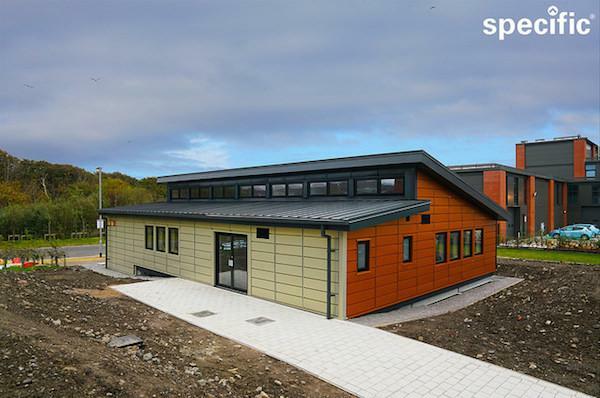 "The Active Office is a living example of how a building can make a difference to us and our environment using innovative technologies -and equally importantly creating jobs in Wales." He continued, "I have no doubt that I'll be back to Swansea University in the near future because of the great strides they are taking in the science and research field which are being recognized around the world."